Home / Unlabelled / HOW TO ACHIEVE SPIRITUALITY IN PRAYER? 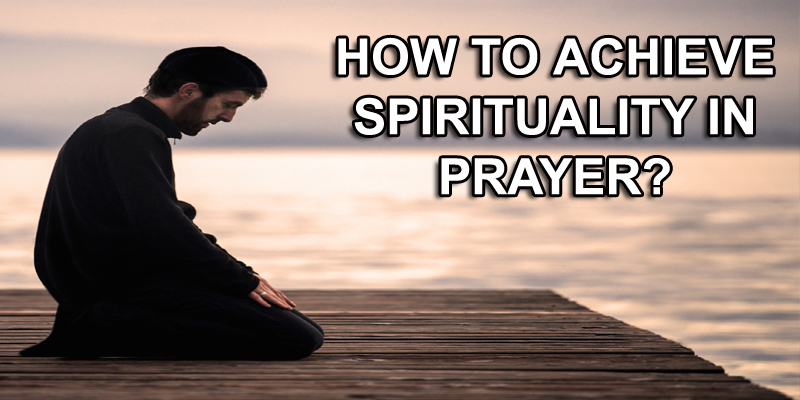 HOW TO ACHIEVE SPIRITUALITY IN PRAYER? When you hear the call to the Prayer, let that remind you of the horrors of the Summons to come on the Day of Resurrection. Spare no time in fully preparing yourself to respond. When you perform ritual ablutions (wudu or ghusl), make sure to also tend to the cleanliness of your inner being, which lies at the heart of all these. When in Prayer, make sure that certain parts of your body are covered from the eyes of other humans. In this you turn your face away from all other directions and set it toward the Ka’bah. When making takbir (pronouncing the phrase Allahu Akbar to begin the Prayer), your heart must be inundated with the meaning of the takbir. You should feel in your heart that nothing whatsoever is greater than Allah. Bowing (ruku’) indicates a renewed affirmation of your awareness of the supreme greatness of Allah. In bowing you confirm your submissiveness and humility, striving to refine your inner feelings through a fresh awareness of your own impotence and insignificance before the might and grandeur of your Lord. Declare that all the Prayers and good deeds you perform are for the sake of Allah, and everything belongs to Him. Such is the meaning of al-tahiyyat. Be inwardly aware of the Prophet (peace and blessings of Allah be upon him), and of his noble person, as you say: “Peace be upon you, O Prophet, as well as Allah’s mercy and blessing.” Be sure that the Prophet (peace and blessings of Allah be upon him) will return an even more perfect greeting to you. Then testify to the Unity of Allah, and to the mission of Prophet Muhammad (peace and blessings of Allah be upon him). Make sure to supplicate at the end of your ritual Prayer and before taslim, imploring and entreating with meekness and humility, confidently hoping to be answered. Let your supplication include your parents and the other believers. Finally, and with the intention of concluding your Prayer, address your taslim to the angels and the others present. Feel a sense of gratitude to Allah for having enabled you to complete this act of worship. Imagine that you are saying farewell to this period of Prayer of yours—with the possibility that you may not live to perform another one.